November 5: last day for submitting abstracts for the TT2013 meeting in China! Next Monday, November 5, is the last day for submitting abstracts for the 11th Transgenic Technology (TT2013) meeting, to be held in Guangzhou (China) on 25-27 February 2013. If you are considering to attend this meeting please also consider to submit your latest results, research or observations around animal transgenesis as an abstract for this conference. Accepted abstracts will be published in Transgenic Research, associated to the International Society for Transgenic Technologies (ISTT). Abstracts (less than 400 words) should be submitted as Word files (.doc) to tt2013@transtechsociety.org, according to the indications provided in the TT2013 meeting abstract page. Looking forward to receiving your abstracts! ISTT reaches 600 members !!! We are most pleased to announce that, today, October 15, 2012, the International Society for Transgenic Technologies (ISTT) has reached 600 members registered. This is a great landmark for a society founded in January 2006. Thanks to all current and previous members for contributing to this fantastic success. Congratulations to all of you! Congratulations to the ISTT!!! And let’s hope we can meet next year, as many ISTT members as possible, in Guangzhou (China), in February 2013, at the 11th Transgenic Technology meeting (TT2013). Author LluisPosted on October 15, 2012 October 15, 2012 Categories information, ISTT, ISTT Members, membership, TT meetingTags China, ISTT Members, membership, TT meetings, TT2013, TT2013 meetingLeave a comment on ISTT reaches 600 members !!! Deadlines for the TT2013 meeting have been EXTENDED !!! The Nobel Prize in Physiology or Medicine 2012 was awarded today, October 8, 2012, jointly to Sir John B. Gurdon (Gurdon Institute, Cambridge, United Kingdom) and Shinya Yamanaka ( Kyoto University, Kyoto, Japan, and Gladstone Institute, San Francisco, CA, USA) “for the discovery that mature cells can be reprogrammed to become pluripotent“. The Nobel Assembly at Karolinska Institutet (Stockholm, Sweden) decided to award The Nobel Prize in Physiology or Medicine 2012 jointly to John B. Gurdon and Shinya Yamanaka. According to the published Press Release: “The Nobel Prize recognizes two scientists who discovered that mature, specialised cells can be reprogrammed to become immature cells capable of developing into all tissues of the body. Their findings have revolutionised our understanding of how cells and organisms develop“. The International Society for Transgenic Technologies (ISTT) wishes to congratulate both excellent scientists for their outstanding achievements and the very much deserved Nobel Prize they have just been awarded. John B. Gurdon demonstrated in 1962 that adult frogs could be obtained by the transplantation of nuclei from endoderm cells of Xenopus laevis donors ranging from late blastulae to swimming tadpoles. In 1966, John B. Gurdon continued his studies on cellular reprogramming in frogs and reported that fertile adult male and female frogs, genetically marked as of solely donor origin, had been obtained from the transplantation of nuclei from intestinal epithelial cells of Xenopus laevis feeding larvae. In 1975, John B. Gurdon reported that tadpoles could be obtained from nuclei transplanted from keratinized skin cells of adult frogs. However, no adult frogs were obtained from nuclear transfer experiments involving adult somatic cells. As concluded by Gurdon and Byrne in 2003, these first series of results obtained by John B. Gurdon, “established the general principle that the process of cell differentiation does not necessarily require any stable change to the genetic constitution of a cell. Thus, cell differentiation depends on changes in the expression not content of the genome“. Similar principles had been envisaged and proposed, but could not be proved, in 1938 by the German embryologist Hans Spemann (awarded the 1935 Nobel Prize in Physiology or Medicine). Forty years later, after the outstanding results obtained by John B. Gurdon, Shinya Yamanaka reported in 2006 the identification of four transcription factors (Oct3/4, Sox2, c-Myc, and Klf4) capable of reprogramming any somatic cell into a cell with properties of a pluripotent stem cell, similar to embryonic stem (ES) cells. Those cells were named as inducible pluripotent stem cell (or iPS cells) and greatly revolutionized the regenerative medicine field and cellular reprogramming studies since then. Yamanaka’s experiment provided a totally innovative method to obtain human pluripotent stem cells, with great regenerative potential, without requiring the use of human embryos, an achievement that has been greatly acknowledged by members of the society who did not accept, according to their private beliefs, the previous use of human embryos to obtain pluripotent stem cells. John B. Gurdon and Shinya Yamanaka had already been awarded jointly the 2009 Albert Lasker Basic Medical Research Prize “for discoveries concerning nuclear reprogramming, the process that instructs specialized adult cells to form early stem cells — creating the potential to become any type of mature cell for experimental or therapeutic purposes“. The history of nuclear transplantation and cellular reprogramming has been silently advancing since the beginning of last century, and progressed through a series of phenomenal milestones that were regularly achieved. Starting with the pioneer experiments and the vision of Hans Spemann (1938), then the first nuclear transfer success in frogs by Briggs and King (1952), of course the experiments carried out by John B. Gurdon in the 60’s and early 70’s, already mentioned, and also the studies by Marie DiBerardino (1967) on the effect of cell cycle in the nuclear transfer success, and other, more recent, describing the role of single transcription factor being able to change the fate of a cell (Harold Weintraub, 1987) or the direct reprogramming experiments, betweeen different cellular haematopoietic types, pioneered by Thomas Graf since 1990. However, in my opinion, the one single study that, for the first time, demonstrated that a nucleus from an adult terminally and fully differentiated somatic cell (i.e. a cell derived from mammary gland tissue) could give rise to a fertile normal adult, closing the circle of life, was the birth of Dolly, the sheep, obtained by Ian Wilmut and his collaborators from the Roslin Institute in 1996 and reported in a famous paper in Nature in February 1997. The impact of Wilmut’s study on Biology, Biomedicine, Biotechnology and on the entire Society was phenomenal, tremendous (unfortunately not always positive, independent of him, with intense and never ending debates beyond science) and triggered many subsequent studies, including the use of human pluripotent stem cells, isolated by Thomson and Gearhart teams in 1998, and their potential in regenerative medicine, and eventually the work by Yamanaka and many other. The Nobel Assembly has limited this Nobel award to Gurdon and Yamanaka, who fully deserved the Nobel Prize, but, unfortunately, they did not include other scientists that were instrumental for the progress in reprogramming studies, particularly Ian Wilmut. Dolly’s experiment is only referred briefly in the advance information provided to interested readers. 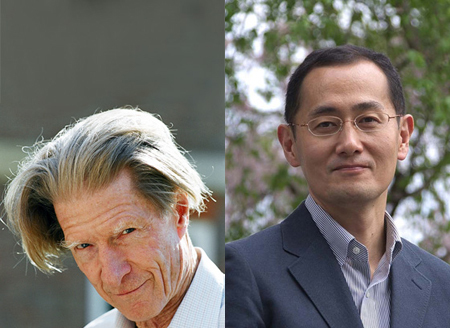 After discussing this issue the whole day with many colleagues, I believe I speak on behalf of many by stating that a Nobel Prize awarded to Gurdon, Wilmut and Yamanaka, could have been a much better and balanced choice. Gurdon himself stated that he would have liked to share this Prize with Ian Wilmut. But this is just wishful thinking and the reality is, as usual, different. Having said that, I want to congratulate once again John B. Gurdon and Shinya Yamanaka for this Nobel Prize. On a final sad note, after all the excitement associated with this Nobel Award to reprogramming techniques, we have been informed of the sudden death of Keith H. Campbell, biologist (1954 – 2012), who passed away last Saturday, October 6, 2012. 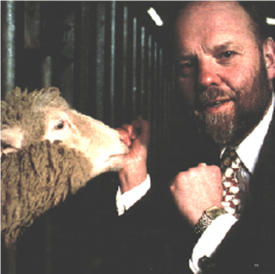 Keith H. Campbell was one of the main co-authors, together with Ian Wilmut, of Dolly’s Nature paper in 1997 (Viable offspring derived from fetal and adult mammalian cells. Wilmut I, Schnieke AE, McWhir J, Kind AJ, Campbell KH, Nature 1997 Feb 27;385(6619):810-3). Keith H. Campbell was currently working at the School of Biosciences, University of Nottingham, UK. Transgenic mice obtained from androgenetic haploid embryonic stem cells. Image adapted by permission from Macmillan Publishers Ltd:NATURE (W Li et al. Nature 000, 1-5 (2012) doi:10.1038/nature11435), copyright (2012). Prof. Xiao-Yang Zhao (ISTT Ordinary member and awarded the first ISTT Young Investigator Award in Florida (USA), at the TT2011 meeting) and Prof. Qi Zhou (ISTT Honorary member and awarded the third ISTT Prize in Uppsala (Sweden), at the TT2004 meeting), and his colleagues from the State Key Laboratory of Reproductive Biology, Institute of Zoology, Chinese Academy of Sciences, in Beijing (China), as well as other collaborating institutions, just published a letter in Nature describing how live transgenic mice can be obtained from androgenetic haploid embryonic stem cells (Li et al. Nature 2012). Mouse androgenetic haploid embryonic stem (ahES) cells can be established by transferring sperm into an enucleated oocyte. These ahES cells maintain haploidy and are stable in culture. In addition, these ahES cells can contribute to the germline of chimeric mice when microinjected into blastocysts. Furthermore, these ahES cells can be delivered by intracytoplasmic injection into mature oocytes, eventually resulting into viable fertile mice that will inherit any genetic modification previously transferred to ahES cells while in culture. As stated by the authors, this work “provides a new approach for genetic manipulation in animal models without available germline-competent ES cells, including non-human primates, as modifications in such haploid stem cells could be transmitted to offspring through intracytoplasmic injection into mature oocytes, which may serve as a more efficient and simple strategy for gene-targeting studies“. Earlier this year, in the April 27 issue of Cell, an independent study, developed in parallel, from Guo-Liang Xu’s (State Key Laboratory of Molecular Biology) and Jinsong Li‘s (State Key Laboratory of Cell Biology) laboratories from the Institute of Biochemistry and Cell Biology, Shanghai Institutes of Biological Sciences, Chinese Academy of Sciences in Shanghai (China) and their collaborators, including Xiang Gao (Model Animal Research Center, Nanjing University, Nanjing, China), reported similar extraordinary findings. Generation of genetically modified mice by oocyte injection of androgenetic haploid embryonic stem cells. Yang H, Shi L, Wang BA, Liang D, Zhong C, Liu W, Nie Y, Liu J, Zhao J, Gao X, Li D, Xu GL, Li J. These three scientists, Qi Zhou (Beijing, China), Jinsong Li (Shanghai, China) and Xiang Gao (Nanjing, China) will participate as invited speakers in the next 11th Transgenic Technology meeting (TT2013) that will be held in Guangzhou (China), on 25-27 February 2013. In particular, both Qi Zhou and Jinsong Li will be presenting their most recent and excellent works on the isolation of androgenetic haploid embryonic stem cells and their use to produce genetically-modified mice. Once again, the International Society for Transgenic Technologies (ISTT) is pleased to present the latest advances in animal transgenic technology at the TT meetings, next one (TT2013) to be held in Guangzhou (China), in February 2013. Anyone interested in these transgenic techniques and their applications should not miss this great opportunity to learn all these new developments, directly presented by their inventors.